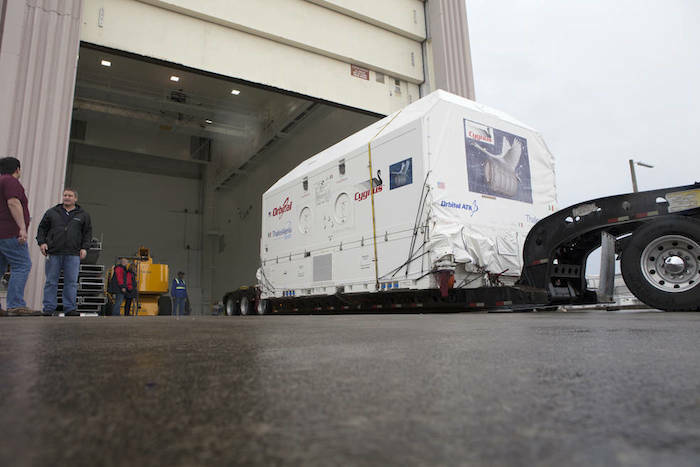 A transporter carries the Orbital ATK Cygnus pressurized cargo module, sealed inside a shipping container, to the Space Station Processing Facility at NASA’s Kennedy Space Center in Florida. The module will soon begin preflight preparations for its upcoming mission to carry hardware and supplies on the company’s Commercial Resupply Services flight to the International Space Station. NASA has opened media accreditation for the next launch of a commercial resupply mission to the International Space Station. The launch of Orbital ATK’s Cygnus spacecraft is scheduled for Thursday, March 10, during a 30-minute window that opens at approximately 3 a.m. EST. 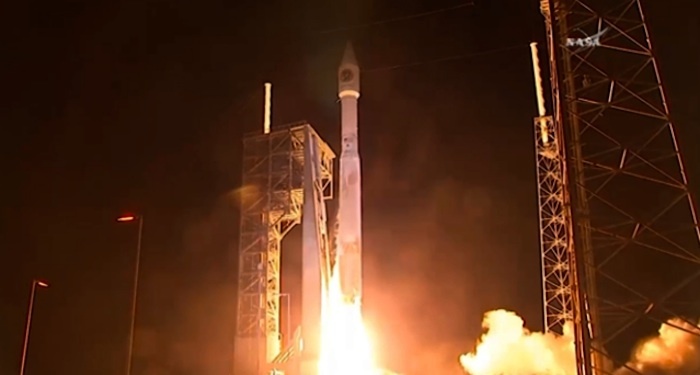 Cygnus will launch on a United Launch Alliance Atlas V rocket from Space Launch Complex 41 at Cape Canaveral Air Force Station (CCAFS) in Florida. The spacecraft will carry crew supplies and vehicle hardware to the orbital laboratory to support the Expedition 47 and 48 crews. Media prelaunch and launch activities will take place at CCAFS and NASA’s nearby Kennedy Space Center. For media only, the deadline to apply for access to CCAFS is 5 p.m. Feb. 18 for U.S. citizens and Feb. 5 for non-citizens. The deadline to apply for media access to Kennedy is 5 p.m. on March 1 for U.S. citizens and Feb. 22 for non-citizens. 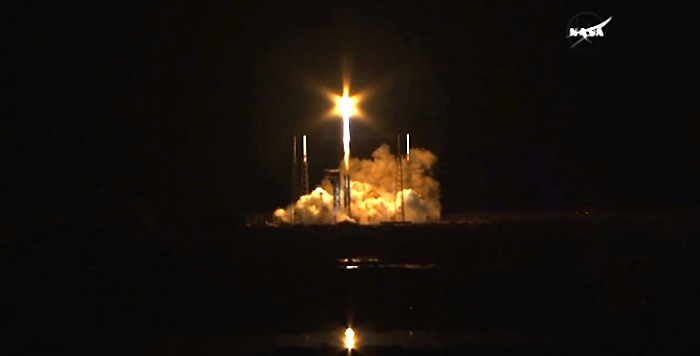 This launch is the fifth contracted mission by Orbital ATK under NASA’s Commercial Resupply Services (CRS) contract and will be followed later this year by an Orbital ATK resupply mission launching from NASA’s Wallops Flight Facility in Wallops Island, Virginia. an experiment to ignite and study a large-scale fire inside an empty Cygnus resupply vehicle after it leaves the space station and before it re-enters Earth’s atmosphere to improving understanding of fire growth in microgravity and safeguarding future space missions. The fifth Orbital ATK resupply mission to the International Space Station (ISS) is being delayed by over a week as NASA is trying to pinpoint the source of black mold that has contaminated cargo bags. "Micro-organisms are everywhere and this type of micro-organism is not uncommon," Dan Huot, a spokesman at NASA's Johnson Space Center, said as quoted by Florida Today on Wednesday. An Orbital ATK Cygnus cargo spacecraft was scheduled to go to the ISS on United Launch Alliance (ULA) Atlas V rocket on March 10, but the launch is being rescheduled until at least March 22, according to ULA. 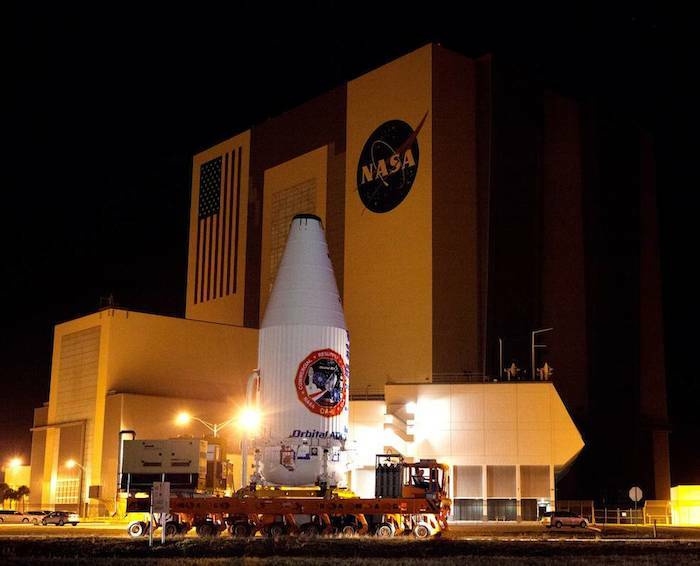 The US National Aeronautics and Space Administration (NASA) will be disinfecting all cargo bags ahead of the launch, even though black mold was found only in two bags, according to Florida Today. 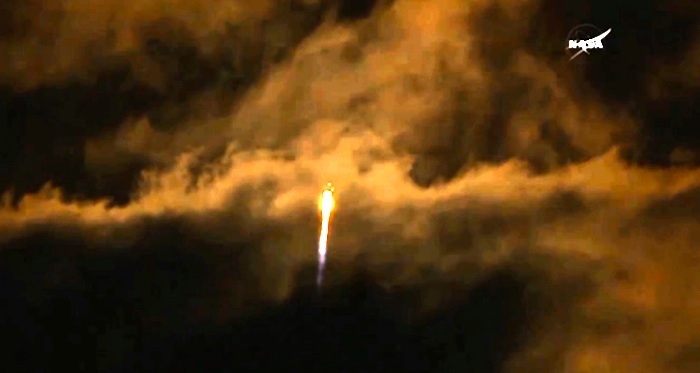 The previous Cygnus resupply mission was launched in December 2015. It was Orbital ATK's fourth resupply mission to the ISS under NASA's Commercial Resupply Services (CRS) contract with the company. Atlas V OA-6 Mission ArtworkRocket/Payload: A United Launch Alliance Atlas V 401 will launch Orbital ATK’s Cygnus™ spacecraft on the initial leg of its cargo resupply mission to the International Space Station (ISS). Date/Site/Launch Time: Targeting Tuesday, March 22, from Space Launch Complex-41 at Cape Canaveral Air Force Station, Florida. Webcast: Stay tuned for the live broadcast time. 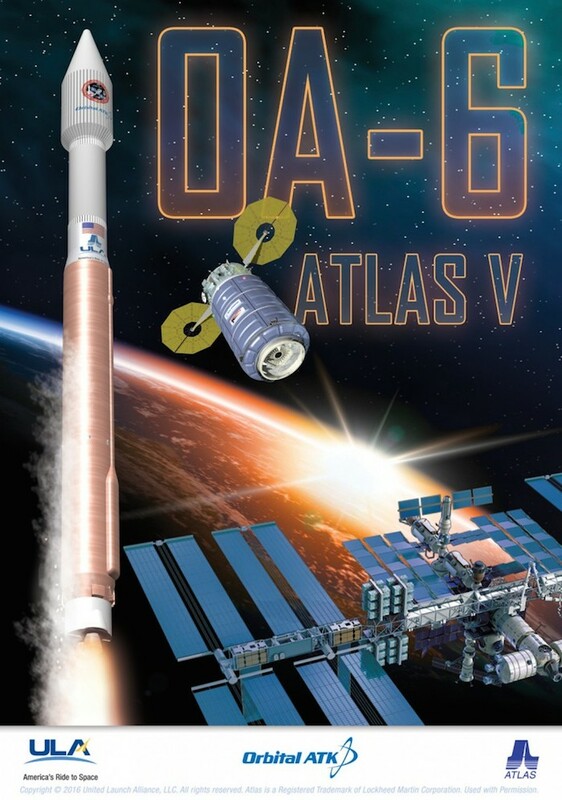 Launch Notes: OA-6 will mark the 62nd launch of the Atlas V and ULA’s 106th launch since the company was founded in 2006. This will be ULA’s second mission supporting ISS cargo resupply. Relax, it’s being done for science. For the past couple of weeks, on and off, astronaut Tim Kopra has been playing with fire on the International Space Station—part of an experiment called Burning and Suppression of Solids—Milliken (BASS-M), to test how flame-retardant cotton fabrics burn in microgravity. Why? 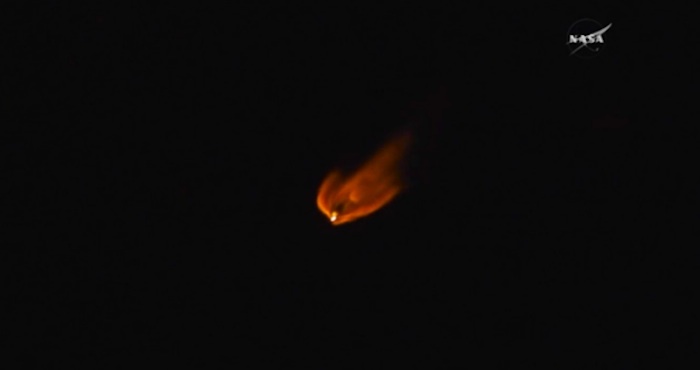 Because fire behaves differently in space than it does on Earth. 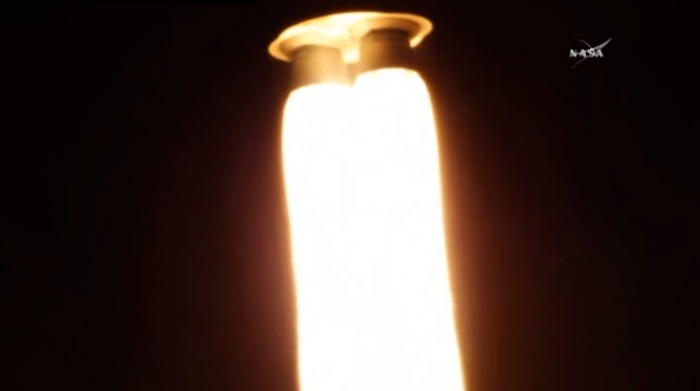 In normal gravity, hot gas rises, drawing in cool, fresh air at the base of the flame. That’s what gives flames their familiar teardrop shape. 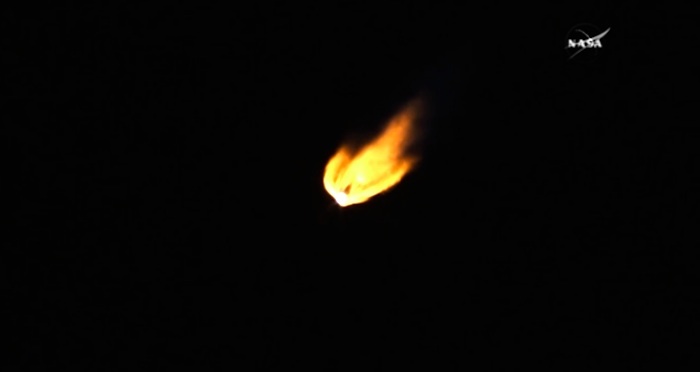 In microgravity, hot gas doesn’t rise, so flames tend to be wider, shorter, and rounder than on Earth. 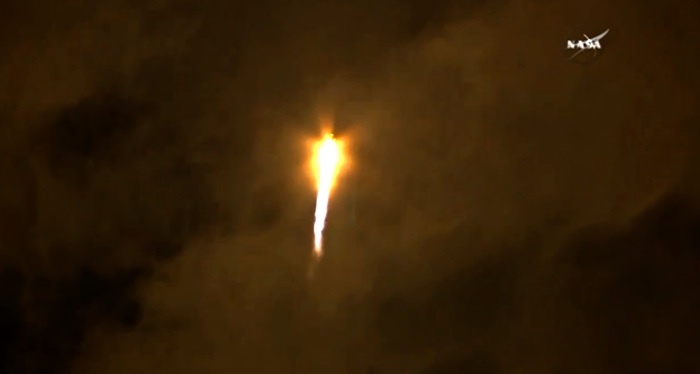 As a result, flames in space radiate heat differently than they do on Earth, which in turn affects how fires spread. That means materials may be more or less flammable in orbit than they are on Earth, even with the same mix of atmospheric gases. When it comes to flammability tests, size matters. 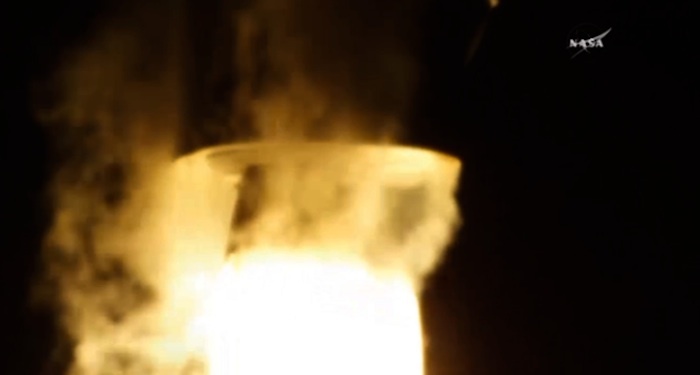 On Earth, NASA uses 5 cm by 25 cm samples of flammable material. But pieces that big aren’t allowed on the station (with some exceptions when there is no practical alternative, such as the crew’s clothing). 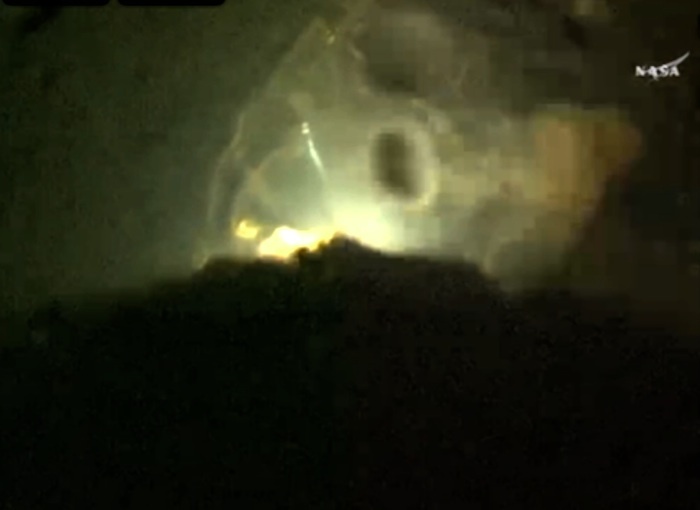 So experiments like BASS-M (which follows up on earlier BASS combustion experiments carried out on the station from 2011 to 2013) make do with small samples, about one centimeter by three centimeters. “The problem with small samples is that a lot of aspects of the fire don’t scale linearly, so you can’t look at a tiny, one-centimeter fire and extrapolate that to one that’s a foot wide or something,” said David Urban, a combustion researcher at NASA’s Glenn Research Center. Scientists would like to know exactly how large-scale fires would grow and spread in microgravity, but it’s too dangerous to conduct that kind of experiment on a spacecraft with astronauts on board. 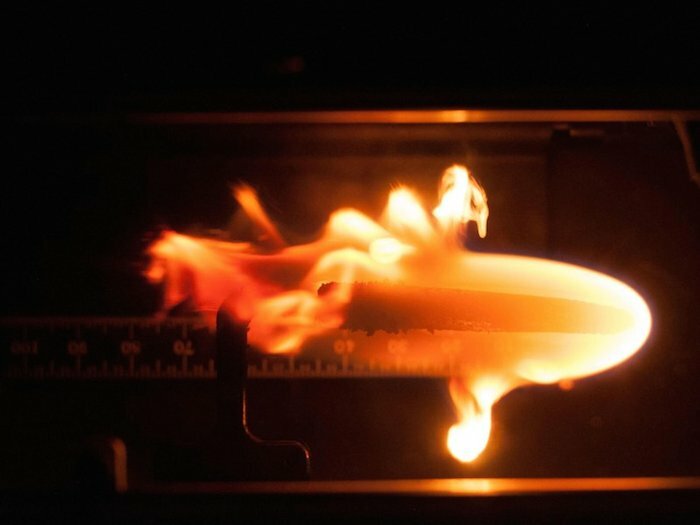 Instead, safety engineers have to rely mostly on models based on how flames spread in Earth’s gravity, and on a few small combustion experiments in space. Sometimes you just need a bigger fire. 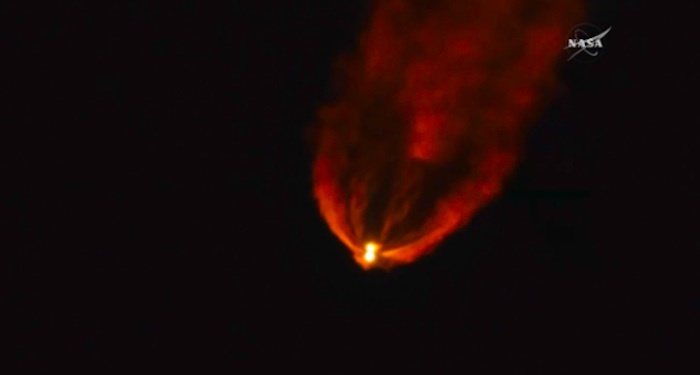 So Urban and co-investigator Gary Ruff designed the Spacecraft Fire Experiment (Saffire), a series of six tests that will ignite and study contained fires aboard returning Cygnus cargo ships (the next of which is scheduled to depart the station on Friday). 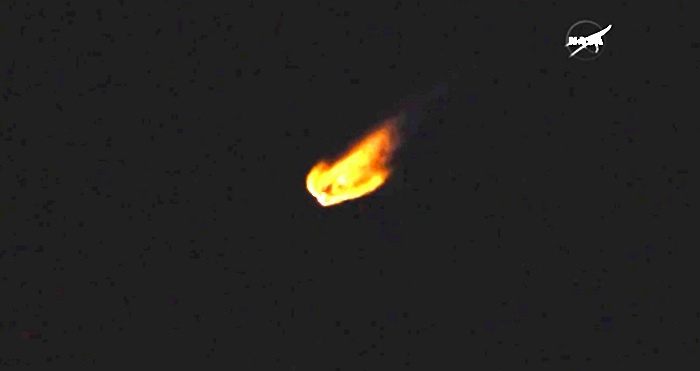 When they leave the ISS, the Cygnus ships contain only trash, and they burn up during re-entry. They’re expendable, which makes them the perfect place to set a fire. When the next Cygnus (number OA-6) launches on March 20, it will carry, along with new supplies for the station, the experimental hardware for Saffire-I. A metal box with fans at either end houses a 0.4- by 0.94-meter sheet of SIBAL cloth, a blend of 75 percent cotton and 25 percent fiberglass. Cotton is used in crew clothing, towels, and other cloth items aboard the station, and the fiberglass blend keeps the sample material from ripping and tearing as it burns. The fans will regulate airflow into and out of the fire. 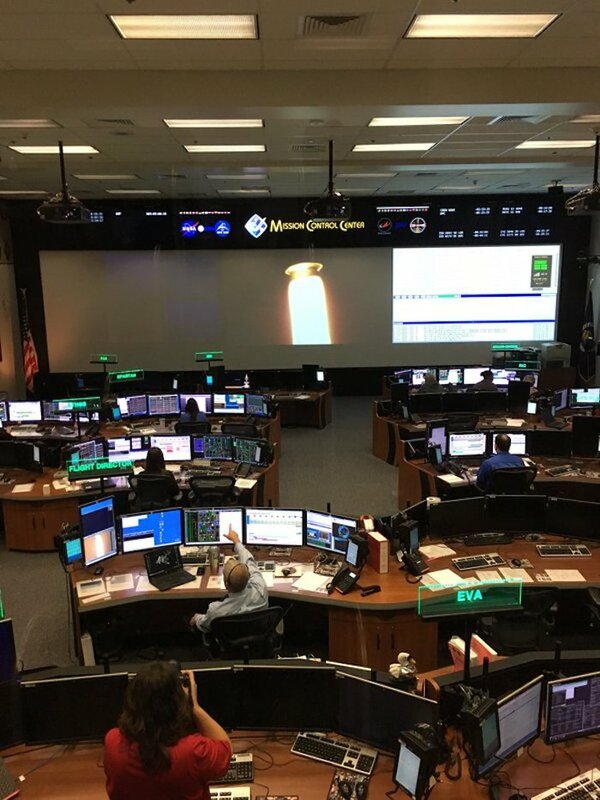 After Cygnus detaches from the station in mid-May, a ground team will turn on power to the Saffire hardware and activate an electronic igniter at one corner of the SIBAL fabric. As the sample burns, instruments will measure temperature, pressure, and concentrations of oxygen and carbon dioxide near the fire. 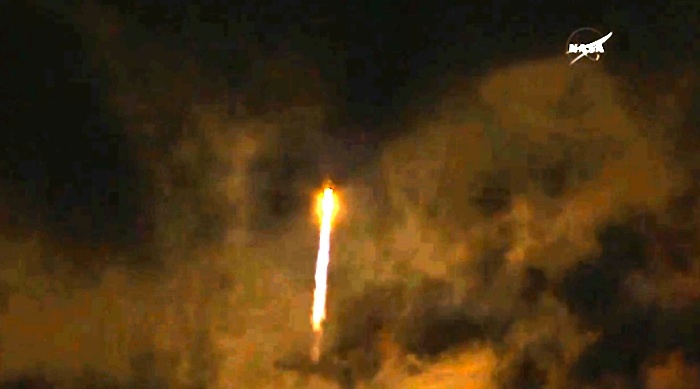 Video cameras will record the shape, growth, and spread of the flames. 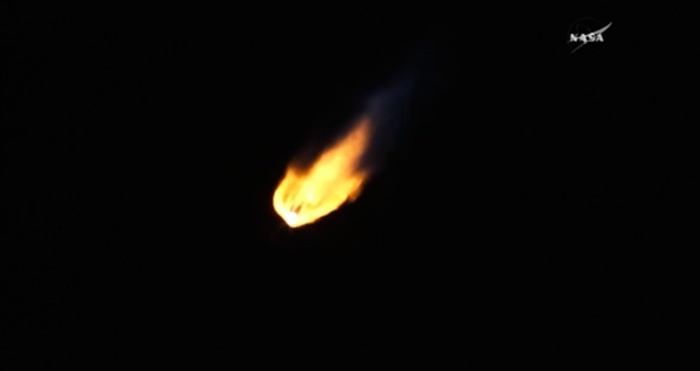 The fire should consume the sample fabric and burn itself out in about two hours, but Cygnus will spend another four days in orbit, downlinking to stations on Earth so the researchers can retrieve Saffire’s experimental data before the resupply ship re-enters Earth’s atmosphere and breaks up over the Pacific. Saffire-II is scheduled to launch on OA-7 in October. With nine smaller samples—including more SIBAL cloth, Nomex, and plexiglass—it will replicate the flammability tests that NASA conducts on Earth. That should help researchers determine how well those tests predict the materials’ flammability in microgravity. In 2017, Saffire-III will repeat Saffire-I’s large-scale fire, but this time with a stronger airflow. 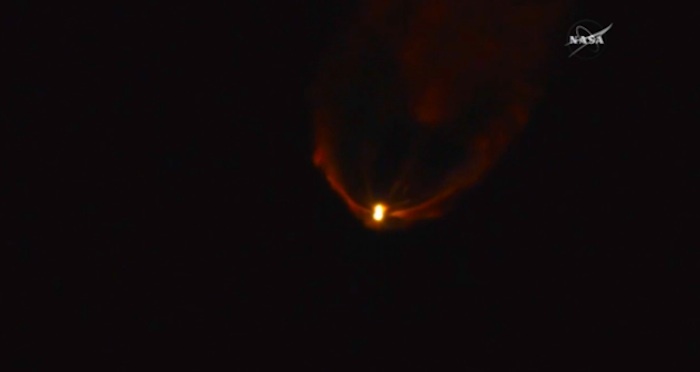 Since airflow is the main factor that influences the size of flames in space, researchers expect to see larger flames in Saffire-III. The recent BASS-M experiments have helped lay the groundwork for these first three fire experiments, just as they will prepare the way for Saffire-IV through Saffire-VI. These later missions will study how heat and pressure from large fires could affect the rest of the spacecraft cabin, and will give NASA a chance to demonstrate fire suppression technologies that it has spent the last several years developing. CAPE CANAVERAL — Signs that a launch to the International Space Station is approaching are obvious this week at Cape Canaveral, with the Atlas 5 booster rocket beginning to take shape and the commercial resupply ship heading to its propellant depot. Assembly of the Atlas started this morning at the Vertical Integration Facility at Complex 41 as United Launch Alliance workers erected the first stage aboard the mobile launch platform. The Centaur upper stage will be hoisted atop the first stage later this week. Meanwhile, the partially-loaded Cygnus cargo freighter will move to its fueling station tonight at the Kennedy Space Center. The ship, with its pressurized cargo module now mated to its propulsion section, will depart the Space Station Processing Facility and travel to the nearby Payload Hazardous Servicing Facility. The PHSF is where the craft will receive its maneuvering propellants and the final filling of cargo and supplies bound for the International Space Station. Cygnus, with over 7,000 pounds of payload for the station astronauts, is slated to launch on March 22 at 11:02 p.m. EDT (0302 GMT the 23rd) atop the Atlas 5 rocket on a three-day trek to the orbiting outpost. It will be the 62nd flight of the Atlas 5, the 106th mission by United Launch Alliance and the 6th Cygnus vehicle built. 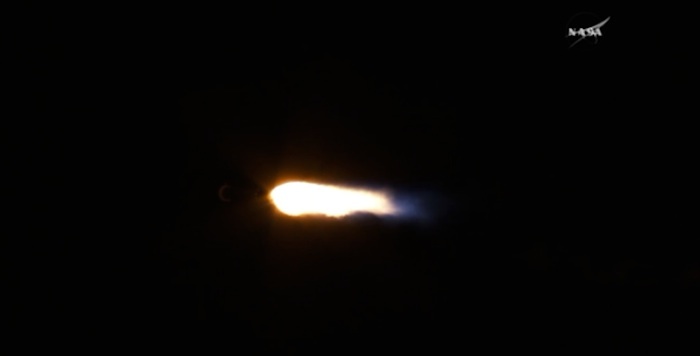 The rocket will be in its 401-configuration, which is powered by the RD-180 main engine burning kerosene and liquid oxygen on the first stage and an Aerojet Rocketdyne RL10C cryogenic liquid hydrogen and liquid oxygen upper stage. The payload is shrouded in an aluminum fairing 14 feet in diameter and 45 feet long. 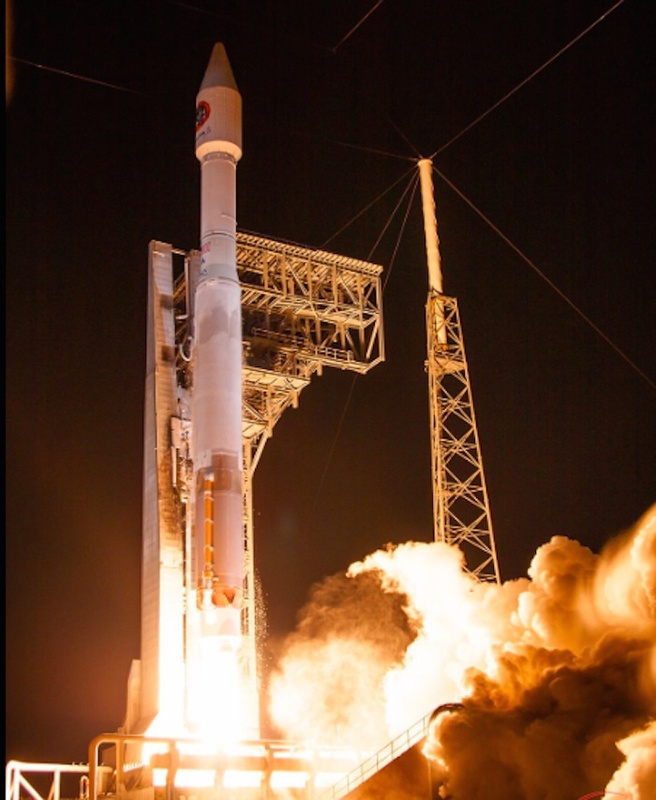 As the most-used Atlas 5 variant, the 401 will be flying for the 32nd time. 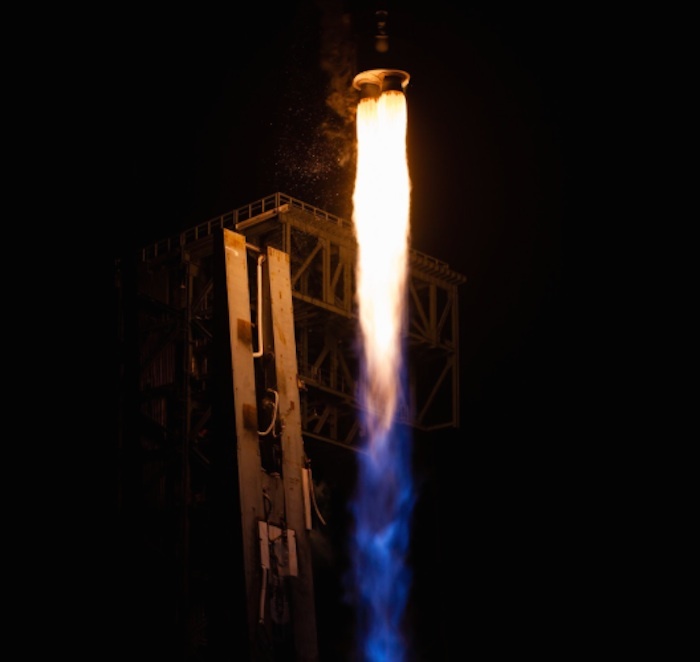 It also marks the 68th Atlas flight of the RD-180 engine, the 467th production RL10 engine to be launched and the 11th RL10C-1. Orbital ATK has an ongoing commercial contract with NASA to deliver food, clothes, fresh equipment and new science gear to the station. The most recent Cygnus, launched from the Cape on Dec. 6, departed the space station last Friday loaded with trash and disposables and harmlessly re-entered the atmosphere over the Pacific on Saturday. NASA has extended media accreditation deadlines for the next launch of a commercial resupply services mission to the International Space Station, now targeted for Tuesday, March 22, during a 30-minute launch window that opens at approximately 11 p.m. EDT. Orbital ATK’s Cygnus spacecraft will launch on a United Launch Alliance Atlas V rocket from Space Launch Complex 41 at Cape Canaveral Air Force Station (CCAFS) in Florida. The spacecraft will carry crew supplies and hardware to the orbital laboratory to support the Expedition 47 and 48 crews. Media prelaunch and launch activities will take place at CCAFS and at nearby NASA Kennedy Space Center. The deadline to apply for media access to CCAFS is 5 p.m. Monday, March 14 for U.S. citizens. International media access to CCAFS is closed. The deadline to apply for media access to Kennedy is 5 p.m., March 8 for non-citizens and 5 p.m. March 14 for U.S. citizens. International media are required to upload a scanned copy of their visa and passport or green card when submitting their online accreditation request. Inside the Payload Hazardous Servicing Facility at NASA's Kennedy Space Center in Florida, engineers and technicians install a NanoRack on a Cygnus cargo spacecraft. 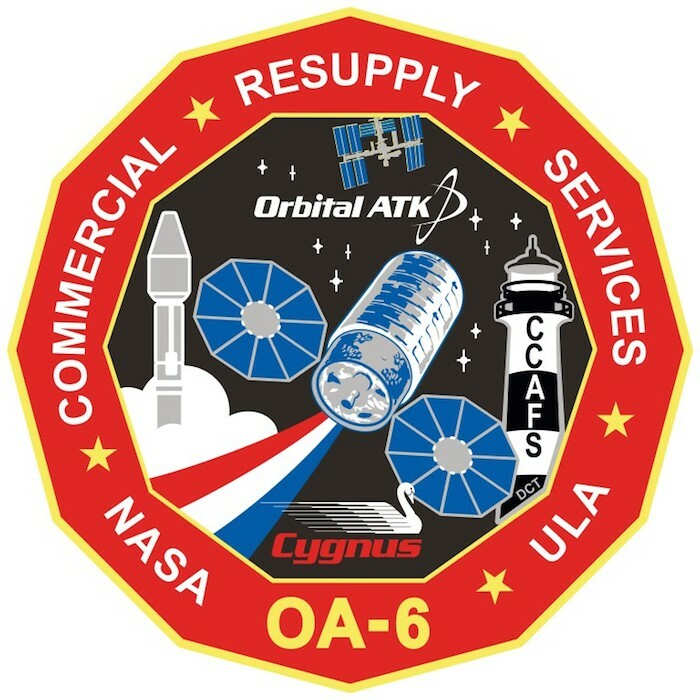 The Cygnus will be launched to the International Space Station on the upcoming Orbital ATK Commercial Resupply Services-6 mission, delivering hardware and supplies to the orbiting outpost. A NanoRack is a low-cost research platform for payloads on the U.S. National Laboratory of the space station. Based on CubeSats, the standardized mini-labs allow low cost use by researchers and commercial customers, as well as students. The Eastern Range has approved March 22, 2016 as the launch date for the OA-6 mission to resupply the International Space Station. 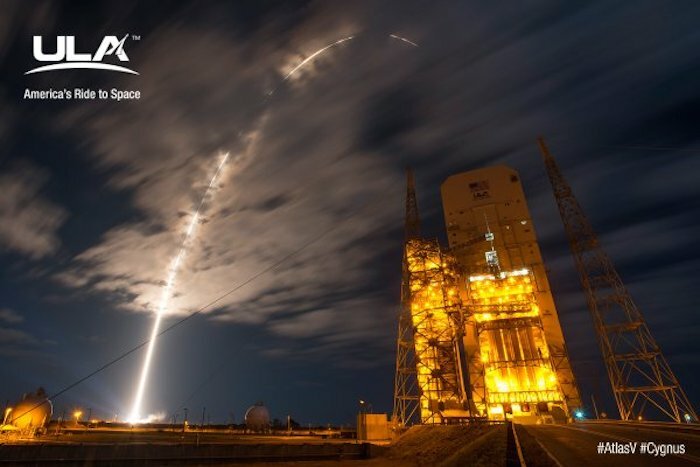 Orbital ATK’s Cygnus spacecraft will launch on a United Launch Alliance Atlas V rocket from Space Launch Complex 41 at Cape Canaveral Air Force Station (CCAFS) in Florida. The spacecraft will carry crew supplies and hardware to the International Space Station to support the Expedition 47 and 48 crews. For the OA-6 mission, Orbital ATK’s Cygnus advanced maneuvering spacecraft is carrying approximately 3,513 kg (7,700 lbs.) of supplies and science experiments for the International Space Station (ISS). Under the Commercial Resupply Services (CRS) contract with NASA, Orbital will deliver approximately 28,700 kilograms of cargo to the ISS. 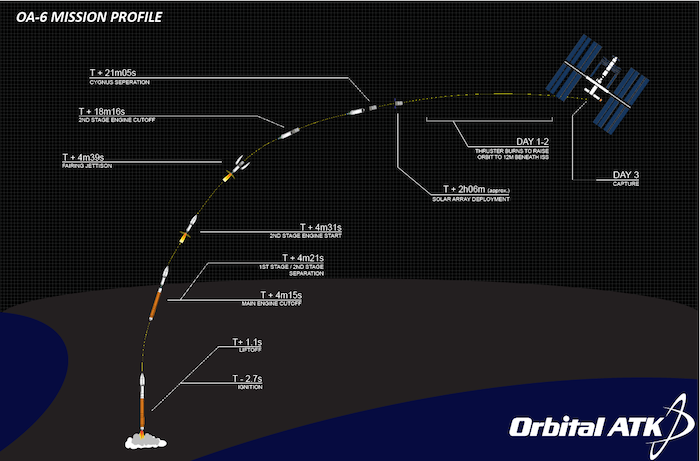 OA-6 is the fifth of these missions. 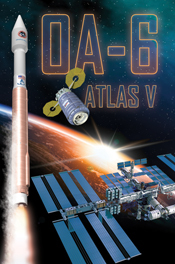 The OA-6 mission will be the second Cygnus mission utilizing the Atlas V launch system, providing increased performance and flexibility to the Orbital ATK cargo delivery service. This mission will again utilize the Kennedy Space Center and launch from the Cape Canaveral Air Force base in Cape Canaveral, Florida. 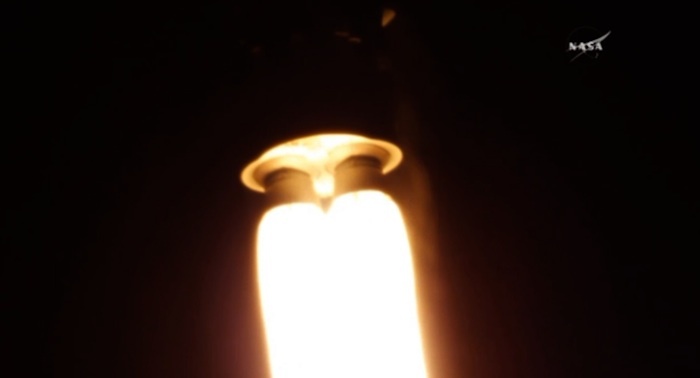 The launch portion of the mission will last approximately 21 minutes from ignition of the Atlas V rocket to the separation of Cygnus in its initial target orbit. 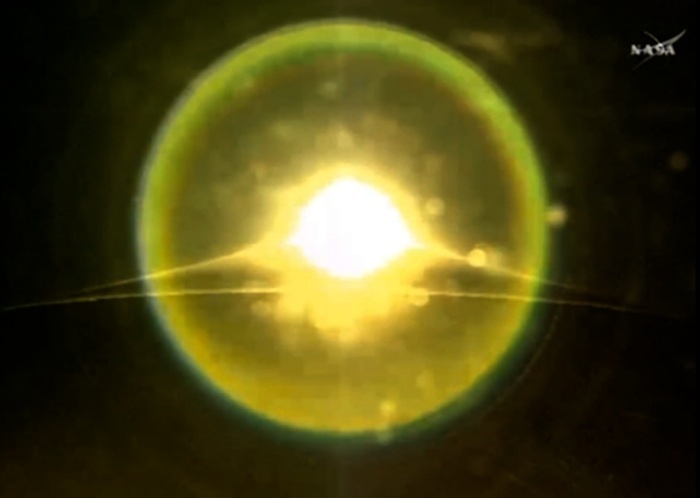 Approximately one hour after separation, Cygnus will unfurl its circular UltraFlex™ solar arrays and over the next two days raised its orbit in order to rendezvous with the space station. Astronauts aboard the ISS used the station’s robotic arm to grapple Cygnus and berth it to the Unity node of the space station. Cygnus will remain attached to the station for approximately two months, during which time the station crew will remove the cargo from Cygnus and fill it with materials for disposal. 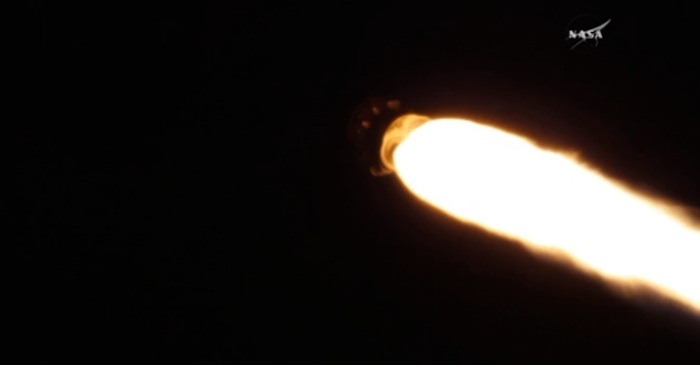 Cygnus carries the Saffire payload experiment to study combustion behavior in the microgravity environment, which will be conducted after the spacecraft departs the ISS. 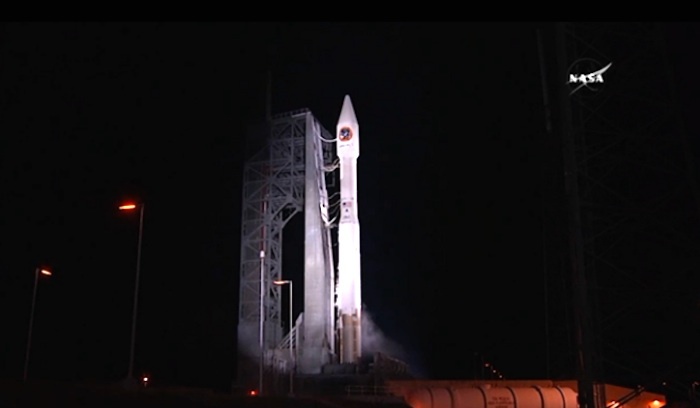 The results will be downloaded via telemetry prior to Cygnus safely reentering the atmosphere over the Pacific Ocean. Reporters toured the Kennedy Space Center clean room where NASA's next cargo vehicle is prepared for launch March 8. 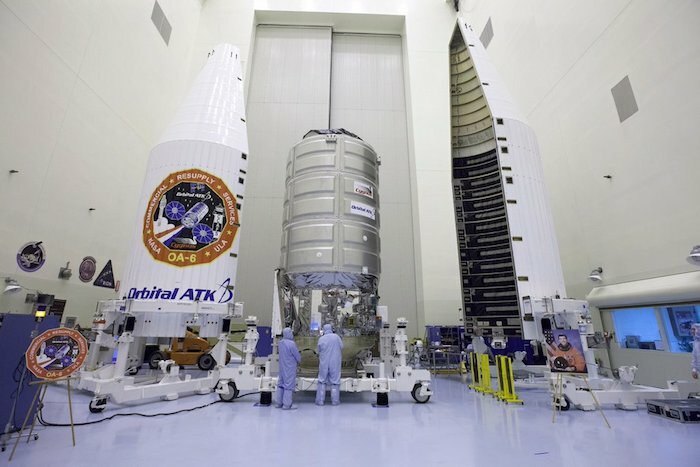 The unit, Orbital ATK's Cygnus spacecraft, will launch to the International Space Station attached to an Atlas rocket made by United Launch Alliance. CAPE CANAVERAL, Fla. — Tucked inside the Payload Hazardous Servicing Facility at Florida's Kennedy Space Center, NASA's next cargo vehicle preps for its upcoming trip to the International Space Station. This week, one of the remaining steps before launch will be completed as crews encapsulate the Cygnus spacecraft inside the fairing that will carry it into orbit. However, before it is sealed away, NASA invited members of the media to view the Cygnus inside its specialized clean room. The PHSF is a unique facility that all spacecraft visit before launch. Designed to serve a dual purpose, this building processes and tests payloads before launch and handles any sort of hazardous operations, such as loading liquid fuels. The PHSF high bay is a clean room, and anyone who enters has to follow a strict protocol, including wearing a special suit known as a bunny suit. We all arrived at Kennedy Space Center's press site where a bus was waiting to transport the group. Excitement built as we arrived at our first stop of the day, where we got a briefing about the mission and the safety protocols for the clean-room visit. Representatives from NASA's Launch Services — United Launch Alliance (ULA) and Orbital ATK — were on hand to discuss the mission and answer any questions. 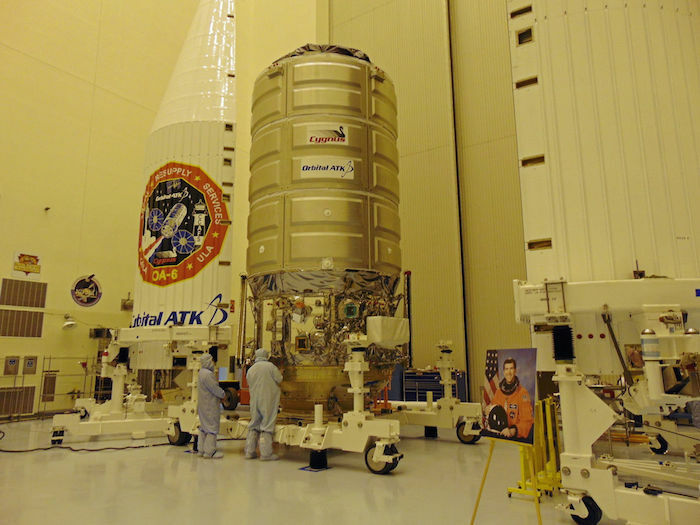 Orbital ATK has the tradition of naming each Cygnus spacecraft after a fallen astronaut. 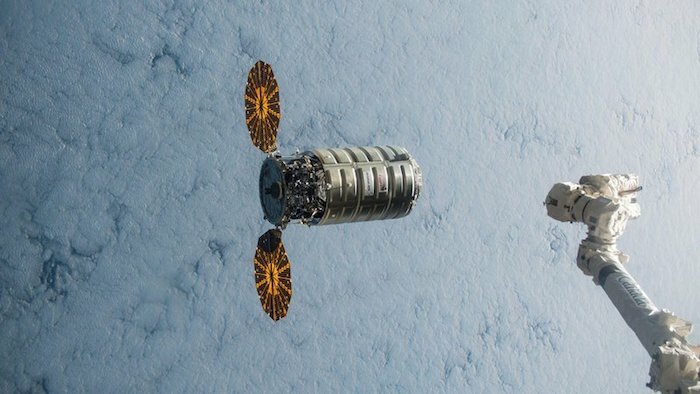 Dan Tani, a former astronaut and current vice president of Orbital ATK's mission and cargo operations department, made the announcement that this Cygnus will be named the SS Rick Husband; this is the first Cygnus to be named for an astronaut who worked on station. Tani described the naming process: "We had very obvious choices for the first couple spacecraft," he told Space.com. "There were people like Janice Voss, who were Orbital employees and near and dear to our hearts." Once Orbital made the decision to name the fleet after fallen astronauts, they decided to consider connections to the company as well as the astronaut's contributions. "Thankfully, it's a relatively small list to choose from," Tani said. "Rick's name popped up pretty easily to us. He was the first to pilot the shuttle to the space station, on the same mission with Kent." Kent Rominger, a former astronaut who is now Orbital ATK's vice president of strategy and business development, was the commander of STS-96, the first shuttle mission to dock with the space station. Husband was the pilot on that mission. Tim Kopra, an astronaut currently on the space station, and Jeff Williams, who is scheduled to join Kopra this month, both worked with Husband. "This will be a sentimental touchstone with the crew," Tani said. "The beauty of human spaceflight is it involves humans. It's a great pleasure for us to be able to honor those connections." After the briefing, we headed to the PHSF. Once inside, everyone was instructed to first clean their shoes in a special motorized brushing machine. This removed outside dirt and other materials from our shoes. We then moved to a small area where we were given cloth booties to slip over our shoes before moving to the locker room. The next step was to clean all our camera equipment — we were given a supply of alcohol wipes. Next, we donned the bunny suits, starting with cloth jumpsuits that were worn on top of our clothes, and then we put on two pairs of special booties each over our cloth booties. These zipped up to the knees and also covered the jumpsuit. Finally came the pièce de résistance: cloth hoods with an opening large enough for our faces. 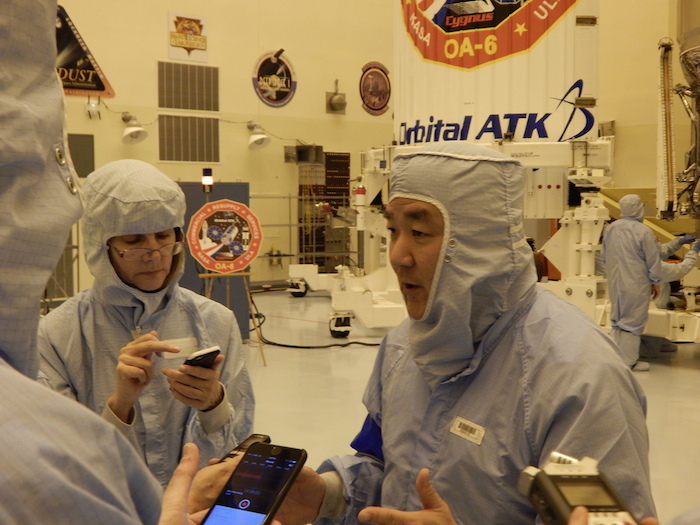 Reporters confer with Orbital vice president Dan Tani in the Kennedy Space Center clean room March 8. After we were properly outfitted, we headed into an air shower a few people at a time. The air shower was in a small hallway that joined the locker room to the clean room. Everyone inside was blasted with air before we could enter the high bay. Once inside, the silvery cargo ship towered above us, flanked by the two shells of its payload fairing. Cygnus is known for having Christmas-colored lights on its exterior, which were illuminated for us to see. Stepping through the clean-room door was like stepping into history, as this room once housed some of NASA's biggest missions. The decals of 14 space missions, including the Curiosity Mars rover and New Horizons flyby of Pluto, adorned the walls of the PHSF. 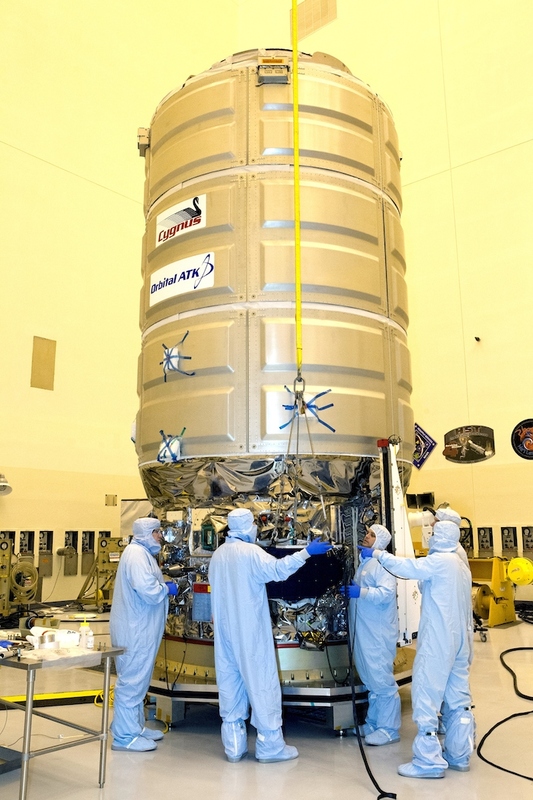 Engineers work to prepare Orbital ATK's Cygnus spacecraft for its March 22 flight; patches from past missions prepared in the Kennedy Space Center clean room are visible on the back wall. 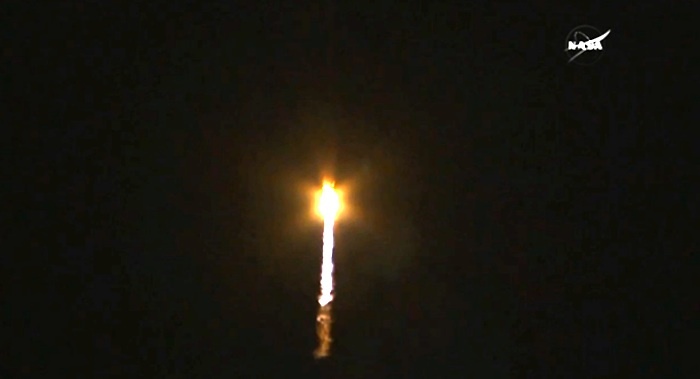 This flight marks the second cargo mission supported by ULA, and Orbital ATK's second to fly from Florida. Tani told Space.com how thrilled the company was for its progress: "After almost a year of downtime, we're happy to be ramping back up to full pace," he said. "We're very excited to see the vehicle sitting here so beautifully, ready to go to orbit." After it is secured inside the payload fairing, the spacecraft will be turned over to ULA, and should be mated to the rocket next week. ULA will complete its final checks before launching on March 22. 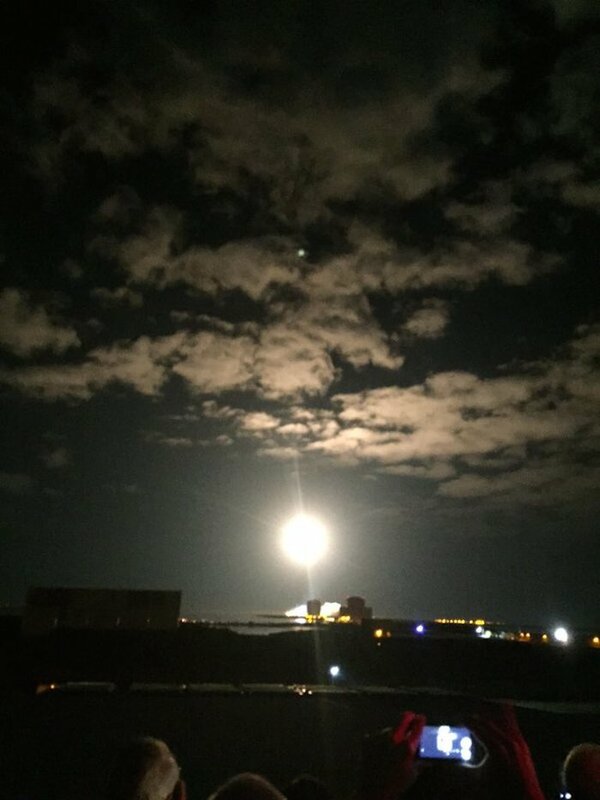 For its next mission, which is expected to take place this summer, Orbital plans to resume flights from its launch facilities at Wallops Island in Virginia. The Cygnus spacecraft for the upcoming Orbital ATK Commercial Resupply Services-6 mission is encapsulated inside its payload fairing as it moves past the Vehicle Assembly Building at NASA's Kennedy Space Center in Florida. 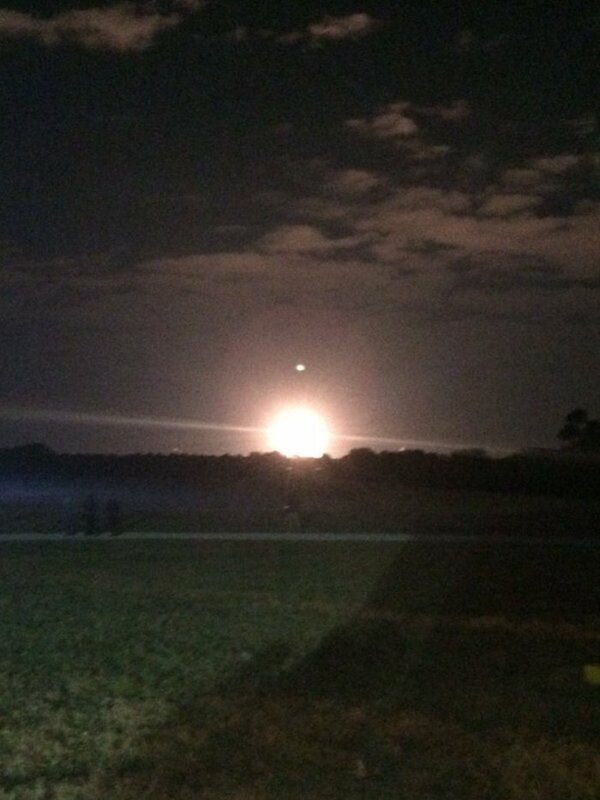 It is being moved to Space Launch Complex-41 at Cape Canaveral Air Force Station. 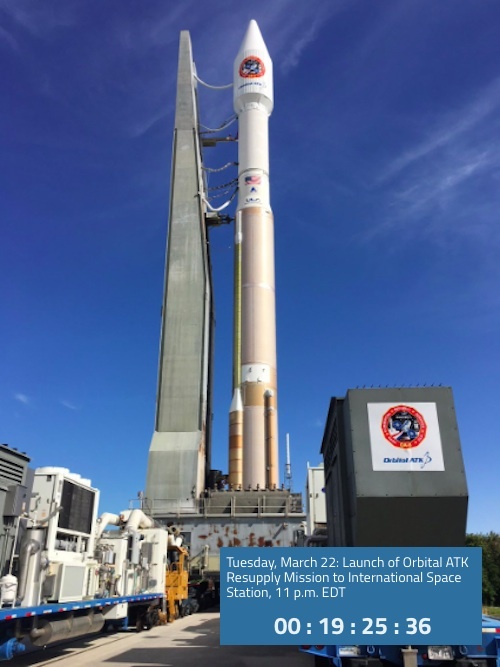 NASA commercial provider Orbital ATK is scheduled to launch its fifth mission to the International Space Station Tuesday, March 22 under the agency’s Commercial Resupply Services contract. 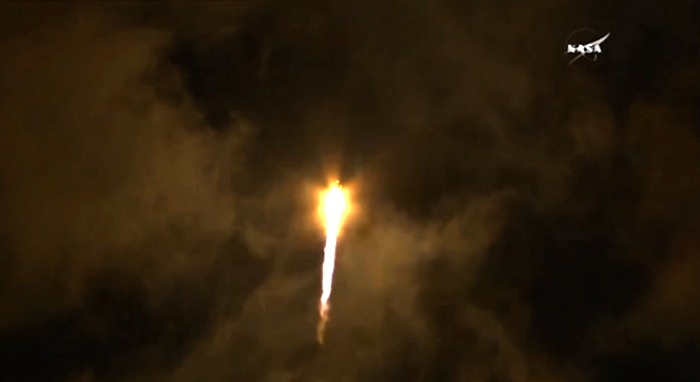 Live launch coverage will begin at 10 p.m. EDT on NASA Television and the agency’s website. The company’s Cygnus spacecraft is set to lift off on a United Launch Alliance Atlas V rocket at 11:05 p.m., the start of a 30-minute launch window, from Space Launch Complex 41 on Cape Canaveral Air Force Station in Florida. Coverage will resume for solar array deployment at 12:45 a.m. March 23, and a post-launch briefing will be held approximately two hours after launch. NASA TV also will air two prelaunch briefings Monday, March 21. At 12:30 p.m., scientists and researchers will discuss some of the investigations to be delivered to the station, followed by a briefing by mission managers at 2:30 p.m. The briefings will stream live on the agency’s website. The new experiments will inspire future scientists and explorers, with experiments such as an investigation that looks at the properties and behavior of regolith, or "soil" found on asteroids, comets, the moon, and other airless worlds; an instrument for the first-ever, space-based observations of the chemical composition of meteors entering Earth’s atmosphere; a technology demonstration of an adhesive device that can stick on-command in the harsh environment of space; and, the second generation of a portable onboard 3-D printer, among others. The spacecraft will arrive at the station on Saturday, March 26, at which time Expedition 47 Commander Tim Kopra of NASA and Flight Engineer Tim Peake of ESA (European Space Agency) will grapple Cygnus, using the space station’s robotic arm, at approximately 6:40 a.m. NASA TV coverage of rendezvous and grapple will begin at 5:30 a.m.
After Cygnus capture, ground commands will be sent from mission control in Houston to the station’s arm to rotate and install the spacecraft on the bottom of the station’s Unity module. Coverage of installation will begin at 9:15 a.m.
Cygnus will remain at the space station until May, when the spacecraft will be used to dispose of several tons of trash during its fiery reentry into Earth’s atmosphere. 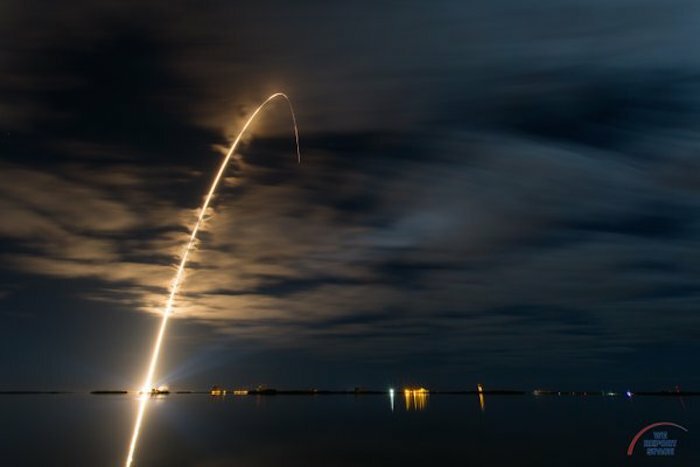 Media at the agency’s Kennedy Space Center in Florida will have the opportunity to participate in special tours and briefings on March 21 and 22, as well as view the launch. The deadline for media to apply for accreditation for this launch has passed. For more information about media accreditation, contact Jennifer Horner at 321-867-6598 or jennifer.p.horner@nasa.gov. This will be the second flight to the station of an enhanced Cygnus spacecraft, which has an extended pressurized cargo module that increases the spacecraft’s interior volume capacity by 25 percent and enables more cargo to be delivered with each mission. Dubbed the S.S. Rick Husband, the spacecraft is a tribute to U.S. Air Force Col. Rick Husband, commander of space shuttle Columbia’s STS-107 mission, which was lost during reentry on Feb. 1, 2003.